In Spain working as an “autonomo” is the equivalent of going freelance or self-employed, the same term and conditions are also applied to employees working in small businesses. Anyone who is earning money but is not employed by a company is legally obliged to register at the nearest Social Security office and pay a monthly contribution of approximately 275€ per month. Income tax and IVA (VAT) is also payable on any monies earned. (If earnings are sporadic, it may be possible to become exempt from paying Social Security fees). If you are working for a business you will have a contract, but if you invoice the company for your services, you must register as autonomo. If you do not register as autonomo, you won’t be able to provide clients with invoices, and in turn, they will be unable to deduct the expense against their tax return. In Spain there is no IVA threshold, which means that no matter how small the sum, all businesses and freelance workers must charge IVA. This can only be done for self-employed workers if they are registered as autonomo. It isn’t necessary to show any sort of business plan or qualifications. Registration involves registering to pay tax (Agencia Tribuaria) and social security. (Regimen Especial de Trabajadores Autonomos RETA) Depending on the type of business, there could be other steps which need to be taken such as applying for a “licensia de aperture” (business licence) from the town hall, which will ensure that the business will operate in accordance with local by-laws and business practices etc. Perez Legal Group can guide you through the autonomo registration process, help you to choose the correct classification and of course relieve you of the burden of dealing with time consuming bureaucracy, in a foreign language. 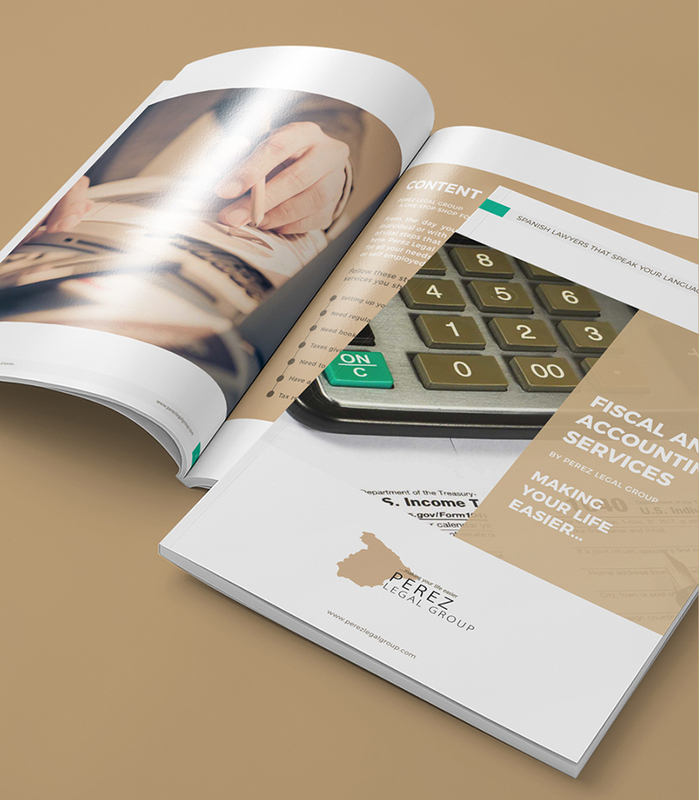 We can also advise on all financial and legal liabilities and manage your monthly book keeping and accounts.